Earlier this year, the earth hit a frightening milestone: carbon dioxide in the atmosphere reached its highest level since humans have inhabited the earth. The last time there was this much carbon on the planet was nearly a million years ago. As the heat-trapping gas proliferates, the world warms, and the climate effects domino: droughts intensify, floods increase, ice melts and seas rise. The question now isn’t whether human activity is changing the global climate; the question is what to do about it. The Obama administration proposed new ruleslast month that would take a first step in curbing carbon emissions from power plants in the U.S. Their target? Coal power plants. The response to the rules from Republican leaders in Texas was predictable: Gov. Rick Perry said the regulations “will only further stifle our economy’s sluggish recovery and increase energy costs.” And Attorney General (and candidate for Governor) Greg “I go into work to sue the Obama Administration” Abbott vowed to fight the “job-killing” rules just as he’s fought other rules from the EPA. But Texas may want to sit the fight over the new carbon rules out: because they could be an economic windfall for the state, to the tune of billions of dollars a year. When the rules were announced, Michael Webber, Deputy Director of the Energy Institute at the University of Texas at Austin, said they amounted to a “big hug” for Texas from Obama. Why? Because Texas is a major producer of natural gas, a switch away from coal (which Texas mostly imports from other states) to natural gas would be great for the Texas economy. Billions of Dollars in Additional Revenue: Thanks to fracking and horizontal drilling, Texas has unlocked massive amounts of natural gas — and could continue to do so, especially if the price is right. In the West South Central region, which includes Texas, the average annual revenue from natural gas production could go up anywhere from $4 billion to nearly $18 billion a year according to the CSIS report. Add in the savings from Texas not having to spend billions to buy coal from other states, and you’ve got a real “shot in the arm” for the Texas economy, Webber says. Renewables Might Get a Boost as Well: In addition to plenty of fossil fuels, Texas is also a leader in wind power and has the potential to do the same with solar energy. “We have a lot of cheap, flat, sunny, windy land that’s connected to billions of dollars of transmission lines, so we can move that power to market easily,” Webber says. Texas’ Power Could Be Sold to Other Markets: If Texas built up enough renewable energy, Webber says it could even sell it to other grids or as credits in a carbon offset market. “So we might be able to make a lot of money in a lot of places,” he says. Tech Hubs like Austin May Drive Efficiency Innovation: A major source of new, carbon-free power that could come out of the rules could be power that we don’t use. Efficiency and consumption reduction programs like demand response could mean jobs and demand for energy efficiency services. “IT, software, automation — with Austin and our tech sector here, we stand to benefit from that demand as well. There should be a lot of winners in Texas from this,” Webber says. So does it make sense for Texas to fight the new EPA rules? Politically, perhaps. But economically, the state may be better off quietly embracing them, in order to maximize the potential for profit. While the state’s political leaders have been vocal in their opposition so far, Webber says industry groups like the Texas Oil and Gas Association have been relatively silent – because they see dollar signs ahead. The rules will take a few years to sort out, but they will likely go into effect around 2020. States will need to meet a final goal of a 30 percent reduction in emissions by 2030. 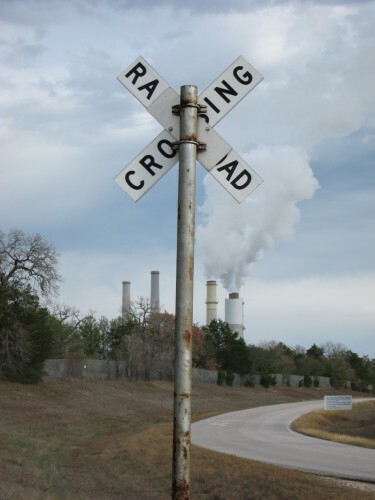 This entry was posted in KRTS News and tagged Climate Change, Coal Power, Energy Regulation, Environmental Protection Agency, Renewable Energy, stateimpact texas, Texas Energy Industry. Bookmark the permalink.